I've started a new blog where I am going to be posting cooking videos! The idea of serving soup in a pumpkin for the big thanksgiving meal at work popped into my mind during a meeting. Fortunately, it made it to the menu at work, but I also wanted to try it at home. I also had lots of left over roasted butternut squash from the last entry, butternut squash and Sage Biscuits and a whole pumpkin left over from Halloween that was originally destined to become a Jack-o-Lanturn. 2) Cut the top of the pumpkin off. (Like as if you were to make a Jack-o-Lantern. 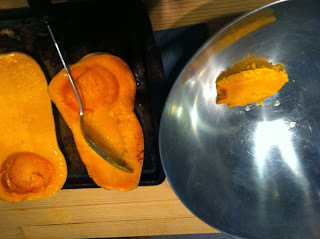 Make sure to point the knife away from your self, and angle the cuts in so that the top will rest back on the pumpkin. 3) scoop out the seeds and strings from the inside. You can keep the seeds if you wish to roast. 4) Once it's clean inside, rub some oil on the inside of pumpkin and lid. Put in the oven with foil over the pumpkin top for 20 minutes. Then uncover and cook another 10 minutes. 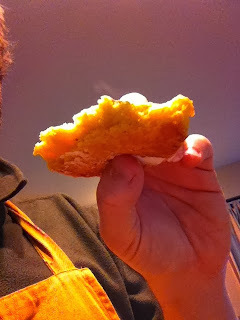 You want to make sure that the pumpkin cooks a little, but still holds up it's shape. 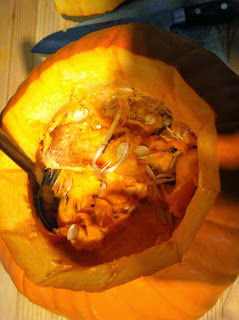 5) While the pumpkin is baking roughly chop onions and sauté them in soup pot with butter, a couple of teaspoons of salt and a few turns of fresh cracked pepper (2 tsp.) until the onions soften a little. Around 10 minutes. Add celery and sauté for another 5-10 minutes. 6) Add wine and stock or water let ingredients it simmer for around 45 minutes. You want all the ingredients soft. 7) Add puree and let that all cook for about 10 minute. 9) Pour into pumpkin and serve immediately. 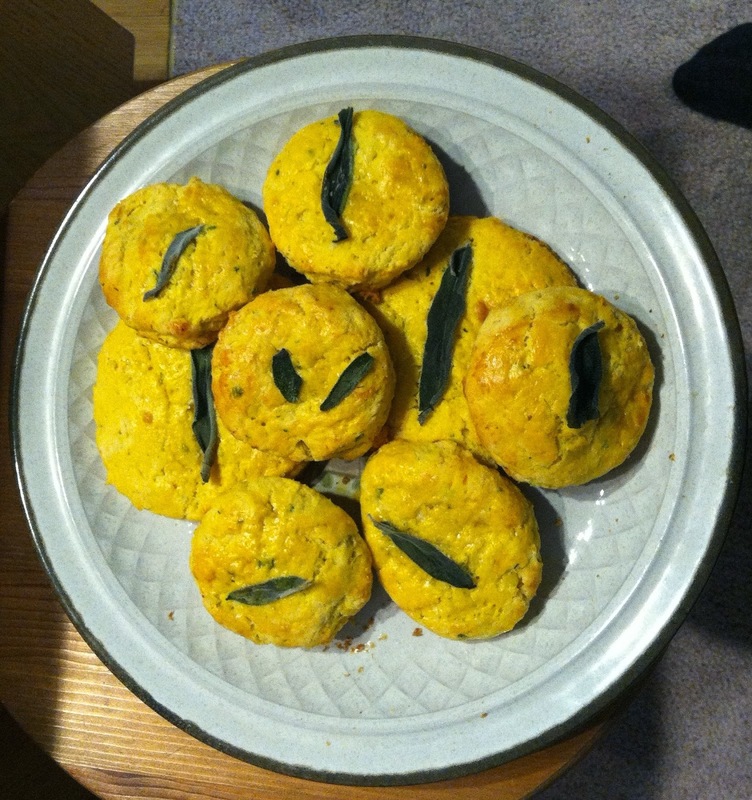 A co-worker had made some Risotto and I decided to make some Risotto Cakes! Usually one might make an egg wash from just egg whites, but I decided to do the whole eggs. I made the risotto into patties. 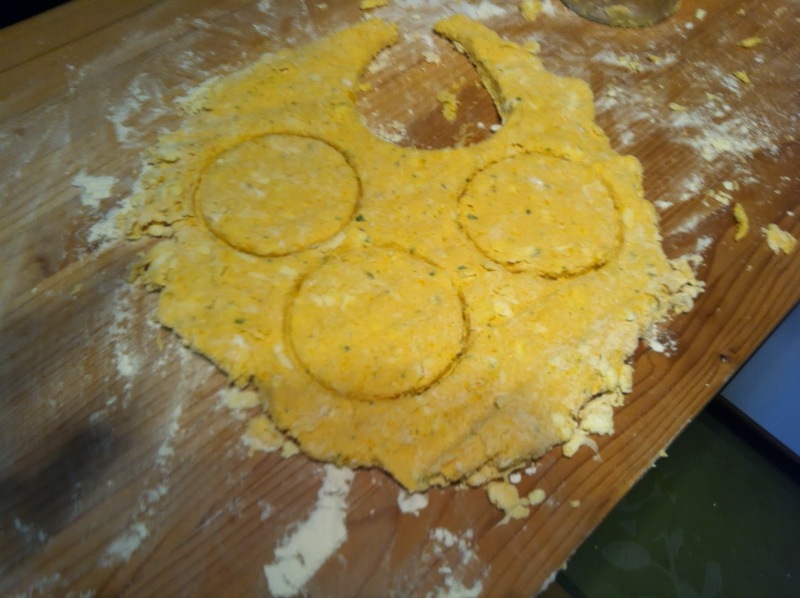 And then dipped them into the eggs. And onto the frying pan. 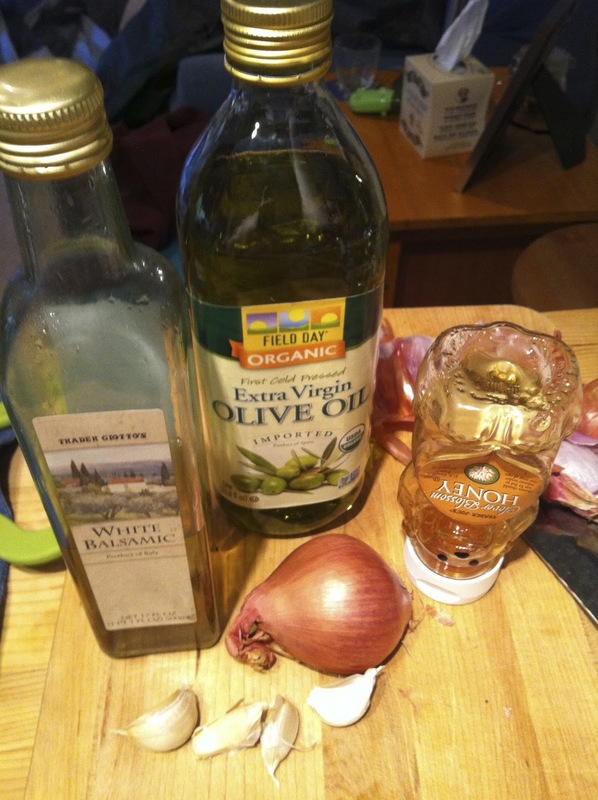 I used a little bit of Grapeseed oil, but any high heat oil would work. I mashed the patties down a bit with my spatula. And here is the completed product. Enjoy! I found this article in the May issue of Vegetarian Times. 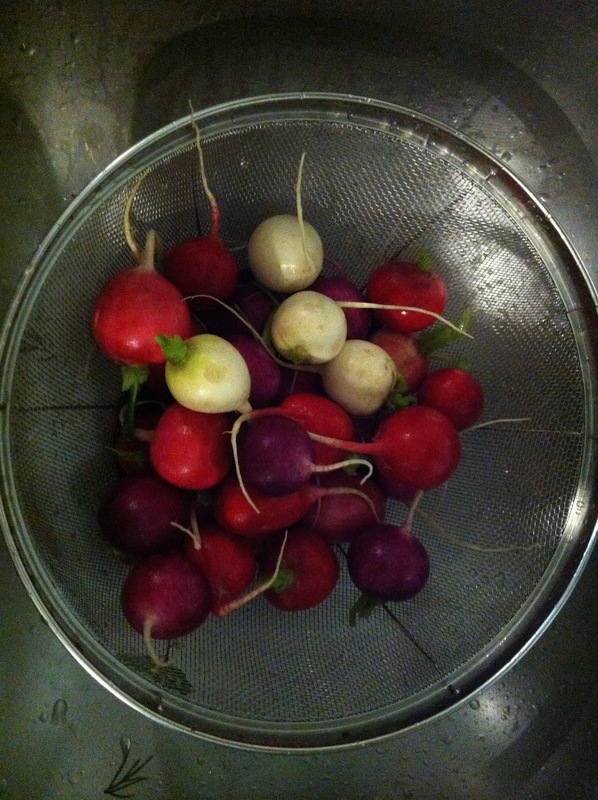 I loved the pink color and also the flexibility of using a radish for something different than just raw on my salad! 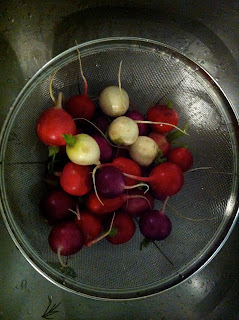 1) I ended up buying 5 bunches of easter egg radishes because they were on sale at the local health food market. 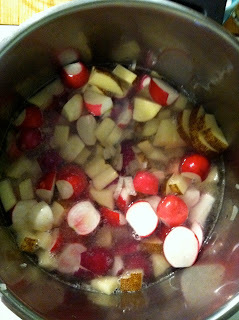 I wonder if I had just purchased red or watermelon radishes if the soup would have been pinker. 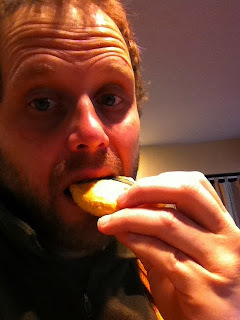 2) I also ended up purchasing Creme Fraiche which is simular to sour cream. You can easily make your own with cream and buttermilk. Sour cream would probably work fine, or just cream. Creme Fraiche: 2 cups cream, 1- 2 Tbls. Buttermilk. 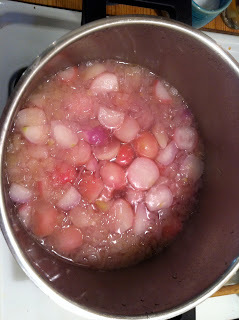 Mix and leave at room temperature for 8-24 hours or until thickened. Stir and refrigerate for up to two weeks. After cooking the onions in butter or oil (if you want it to be vegan), I then added the potatoes and radish and simmered them in onions and water (but stock is also great) for around 30 minutes. (until they became soft.) Notice the how in the second photo the water has turned pink. 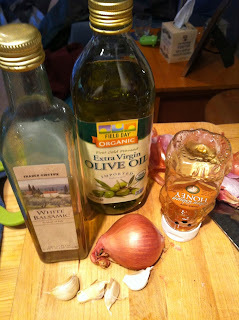 I then blended the soup and added horseradish and creme fraiche. Some creme fraiche can also be saved for the side. You can serve either hot or chilled. Final notes: I would double the amount of white pepper, and horseradish (try to purchase horseradish without lots of preservatives and additives). I would also add the horseradish and creme fraiche right at the end. Salt to taste.